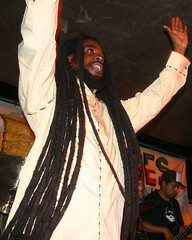 A new album plus singles releases are in progress for Pint in 2012. He is also working on new music with Slightly Stoopid and a song with California based band Stick Figure for their album. Pint’s tour schedule for the summer includes dates in the US and Hawaii and a headlining tour in Europe in August. Big plans are always in store for the one Half Pint!